Stalin and Ribbentrop after signing pact 1939. Joseph Stalin reacted extremely slowly to the invasion of his country by German forces in 1940. Indeed, not only did he react slowly, but he also ignored warnings that the Germans planned to attack his country. Stalin's response to the German invasion has perplexed historians for many years. It seems that the Soviet Leader had placed his trust in Hitler and this almost led to the defeat of the Soviet Union. Stalin's response to Hitler's invasion was slow and disorganized especially in the first days of the war. Stalin's response was ineffective because he trusted Hitler. However, Stalin took charge of the situation and made changes to his military and diplomatic policy that at first slowed the German advance and then stopped it before it reached Moscow in December 1941. Joseph Vissarionovich Stalin ruled over the Soviet Union between 1920 and 1953 acting as the supreme leader of the USSR. Holding the post of the General Secretary of the Central Committee of the Communist Party of the Soviet Union, he was effectively the dictator of the state. Stalin introduced his own highly centralized command economy, launching a period of industrialization and collectivization that resulted in the rapid transformation of the USSR from an agrarian society into an industrial global power. Between 1934 and 1939 Stalin mercilessly carried out a series of massive political extra-judicial executions, known as the Great Purge, of major Communist Party and government rival figures as well as many Red Army high commanders without any proper trials - all convicted of alleged treason or considered a threat. These “enemies of the working class” were imprisoned, exiled, sent to forced labor camps or executed, without due process. After the National Socialist Party rose to power in Germany in 1933, relations between Germany and the Soviet Union, as the two sworn enemy regimes, began to deteriorate rapidly, and trade between the two countries decreased and almost froze. The Soviet Union had generally good relations with the Weimar Republic. Following several years of tension and rivalry, Germany, and the Soviet Union eventually began to improve relations in 1939. The German economy thrived by exporting manufactured goods and industrial equipment around the world in exchange for importing raw materials. On the other hand, the USSR was still an agrarian state. While it was rich in natural resources, it was struggling to transition to an more industrial economy. The Soviets were forced to purchase and import more than half of the necessary factory machinery from the United States. The pact was appealing to the two leaders because they were both at odds with the West. Driven by their mutual resentment for the West, the USSR's and Germany's interests briefly aligned and they moved towards German-Soviet cooperation and an alliance. In 1939, London and Paris invited Moscow to co-sign an Anglo-French guarantee to protect Poland and Romania from possible German aggression. The Soviets agreed only upon permission from Lithuania, Poland, and Romania to allow the free passage of Soviet troops in the event of war. However, Poland refused to grant its permission because they justifiably feared that Soviets wanted to use these as a pretext to take over its territory. The West prolonged Soviet-Allied negotiations since the Great Powers feared the spread of the communist regime and considered the Soviet Union as an outlaw state for its established social and political structures through internal subversion, armed violence, and terrorism. USSR in its turn advocated the overthrow of all capitalist regimes. After the Soviet Union's negotiations feel apart with Britain and France, Stalin turned to Germany. As a result, on the 23rd of August 1939, the Soviet Union entered into a non-aggression pact with Germany. The pact, known as Molotov–Ribbentrop Pact, was named after the leadership of the USSR's and Germany's foreign affairs. Hitler allayed his fears of a two front war in Europe. Moreover, Stalin and Hitler signed numerous secret protocols dividing the entire territory of Eastern Europe into Soviet and German spheres of influence. The Soviets would recover eastern Poland, formerly part of Imperial Russia. The Germans also supported the USSR's claims on Bessarabia (eastern part of Romania) and agreed to define Eastern Europe's Baltic (Poland, Latvia, Estonia, Finland, Lithuania) and Balkan states as belonging to the Soviet “sphere of interest.” Furthermore, after signing the pact, the countries rapidly expanded their economic relationship by entering into a commercial agreement whereby the Soviet Union sent critical raw materials and ingredients to Germany in exchange for weapons, military technology, civilian and manufacturing machinery. Thereafter, Germany received significant amounts of petroleum, grain, rubber and manganese, all necessary for its future war efforts. The two dictators signed secret protocols dividing central Europe between Stalin and Hitler, it effectively let both the USSR and Germany to invade freely countries listed within their “spheres of influence”. 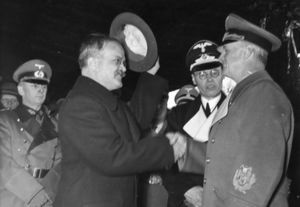 However, the agreement between Germany and the Soviet Union was not sustainable and ultimately set the stage for the Eastern Front of the World War II. Still, the initial improving relations with Germany meant that the Soviet Union could expand its territory in Eastern Europe unmolested into places such as the Baltic States. Stalin believed that his understanding with Hitler would last and he became complacent. On 1 September 1939, within days of signing the pact and the secret protocols, Hitler invaded Poland, now confident that the Soviets would not oppose him. In response, Britain and France declared war on Germany. A couple of weeks later, the Soviet Union invaded Poland from the east to grab its share. In 1940, the USSR followed up by occupying Estonia, Latvia, Lithuania and the Romanian province of Bessarabia. Britain and France protested but with their forces already at war against Germany, they could not afford to fight Stalin as well. The Molotov–Ribbentrop Pact intially worked quite well and showed how similar the two states goals really were. But this peace it did not last for long. In addition to weakness the Soviet's showed in Finland, Germany had also been alarmed by the Soviet Union's seizure of part of Romania. Germany was concerned that Stalin would target the oil fields in Romania. These oil fields were vital to the German war effort. Germany moved several armored divisions into Poland and in December 1940 issued a directive for the invasion of the Soviet Union, codenamed Operation Barbarossa. Stalin was warned by several sources of the imminent threat of a German invasion. The Germans actions had been monitored by Soviet Intelligence. 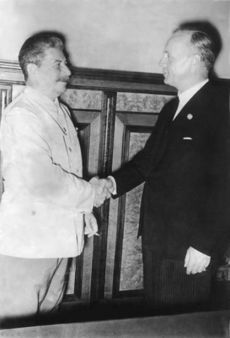 Stalin refused to believe it- instead, he continued to assume that Germany would abide by the Molotov-Ribbentrop pact. 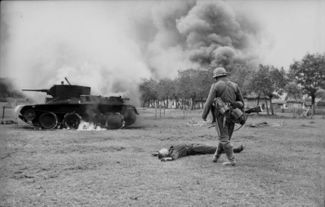 In the early morning of 22 June 1941, Germany officially violated the Molotov–Ribbentrop Pact and invaded the Soviet Union. Historians claim that Stalin was stunned by the invasion and refused to accept the news was true. The Soviet leader had also ignored all warnings from the US, British governments and even his own intelligence officers. 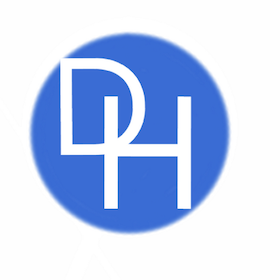 Economic and diplomatic relations between the USSR and Germany rapidly deteriorated and were abruptly terminated. The Soviets were not prepared for a war against Germany. The Red Army troops were scattered and dispersed among several fronts. Furthermore, Stalin’s purges of army officers in the 1930s had crippled the Soviet military machine. During the early days of the war the Red Army lacked trustworthy and skillful generals and suffered several disastrous losses. The Red Army ultimately allowed German troops to almost reach the Kremlin gates. The German assault on the Soviet Union was wildly successful. During he early weeks of Operation Barbarossa, Germany averaged gains of 50 miles a day. This rapid advance was abetted by the lack of direction from Stalin. For some time, the Red Army languished without any direction from Stalin. However, within weeks Stalin manage to recover from the shock and called for reinforcements. Although German troops had made huge advances into the heartlands of the Soviet Union and the rest of the government had been evacuated from Moscow, Stalin remained in the Kremlin and begun to take control of the country’s ailing military infrastructure. As German troops approached the Soviet capital of Moscow, Stalin directed a devastating defensive policy, destroying any supplies or infrastructure that might benefit the enemy. Fresh competent USSR military commanders loyal to Stalin were allowed to take control of important strategic positions and military divisions. This scorched earth tactic denied the Germans key supplies. This was particularly the case as the German supply lines had become extended and the men at the front did not receive the supplies that they needed. The policy of destroying the infrastructure and anything else that could be utilized by the Germans caused immense suffering to the Soviet civilian population. However, it dramatically slowed the German advance. Stalin's policy contributed to the failure of the German army to take Moscow in the early winter of 1941. After the invasion of the Soviet and the poor leadership shown by many Generals, he adopted a new policy he promoted men of ability to positions of authority in the armed forces, such as Zhukov. This greatly improved the leadership of the Red Army and allowed it to be more effective against the German armies. Stalin also reorganized the Soviet Army's High Command. He established the Stavka, this provided the Red Army with the leadership it needed in the life or death struggle with the Germans. Stalin supervised Stavka closely, but he also gave his Generals more authority. As the German invasion of Russia progressed. Stalin contacted Western diplomats requesting two agreements. He aimed at reaching a mutual assistance/aid pact and recognition that after the war the Soviet Union would gain the territories in countries that it would take war actions against Hitler on the Eastern front. Winston Churchill was very willing to ally with Stalin. Even though He was an ardent anti-communist and he personally disliked Stalin. He agreed to support the Soviets in their battle with the Germans. When criticized for aligning with Stalin, Churchill stated he "would become the devils" ally." Stalin's diplomatic moves in the aftermath of Operation Barbarossa was shrewd. It allowed him to receive the support of first the British and later the Americans. The British began to supply the Soviets with arms and supplies, via Iran and the Antarctic. Stalin's diplomatic response to the invasion of his country was to become the ally of his ideological rivals, the western democracies. Stalin made a potentially fatal mistake in trusting Hitler and when the German's invaded he seemed to have been in a state of shock. This meant that his response to the invasion was slow and this allowed the Germans to make great inroads into his country until the Communists seemed on the verge of defeat. Stalin soon took charge and adopted new tactics. Crucially he reorganized the army, raised its morale and entered into a new alliance with the west. 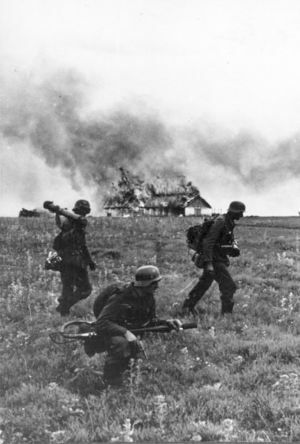 These decisions proved crucial and delayed, and eventually stopped the German advance and in the long run, Stalin was able to defeat the German army.